Next departure from Venice to Rome is on Sun, 5 May. Next departure from Venice to Munich is on Tue, 14 May. Approx duration 8h30m. Coaches will pick-up passengers every 2 days. We recommend you stay with PLUS Camping Jolly. Rated 83% on Hostelworld. PLUS Camping JollyWelcome to PLUS Camping Jolly. 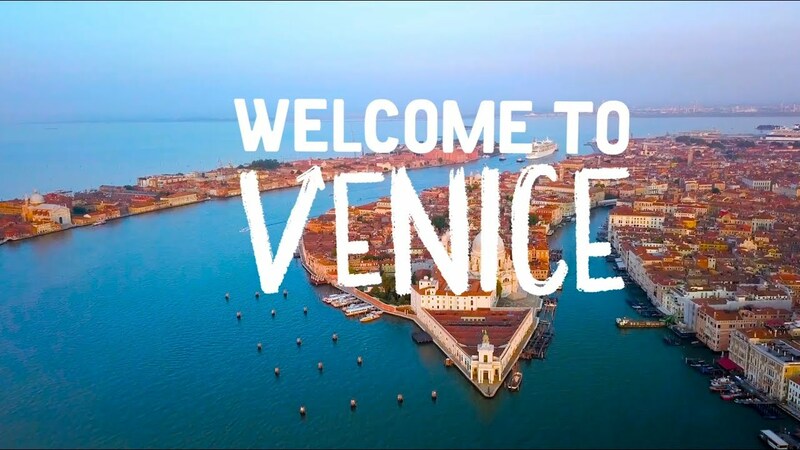 If you've been searching for affordable accommodation in Venice then look no further. We offer a great budget alternative, with clean, comfortable bungalows, dorms, mobile homes that can accommodate two-to-five people. And all this is only 10 minutes from the centre!… read more. The LocationLocated near Mestre, Marco Polo Airport and Treviso Airport. Includes 24 Hour Reception, 24 Hour Security, Bar, Free City Maps, Free Internet Access, Free Parking, Free WiFi, Restaurant, view all facilities. Prices from €9.96 per person. Welcome to PLUS Camping Jolly. If you've been searching for affordable accommodation in Venice then look no further. We offer a great budget alternative, with clean, comfortable bungalows, dorms, mobile homes that can accommodate two-to-five people. And all this is only 10 minutes from the centre! The bungalows, dorms and mobile homes all come with their own private bathroom and shower. If you want to treat yourselves or enjoy more privacy, private ensuite twin and double rooms are available. You won’t find other places in the area where you can sunbathe, swim for free, and more. You'll also find a supermarket, internet café, washing machines and dryers and a luggage room. Enjoy the good times, music, and drinks at our Ciao Bella bar and restaurant. It’s open all day, serving great Italian-style breakfasts, pizzas, salads and other snacks. It's the perfect opportunity to have good food for a great price in a cool atmosphere. All guests will receive a dinner voucher upon check-in that entitles you to a pizza plus drink for only €7.50! Located in Venice MARGHERA, the campsite is only 10 minutes from the centre of Venice on our private shuttle, or 25 minutes by public transport. Take advantage of our regular shuttle bus to and from the airport ( available from June to September) . Booking is required; our contact information will be in your confirmation email. Travelling around Europe this summer? Check out our PLUS hostels in these great locations - PLUS Florence, PLUS Prague, PLUS Camping Roma, PLUS Camping Michelangelo-Florence and the brand-spanking-new PLUS Berlin! Please read our Things to Note below before booking. Min. age 18 y.o. A VALID DOCUMENT HAS TO BE PROVIDED WHILE CHECKING IN. Failure to do this, we have the right to do not make the check in and cancel the booking. UE citizens can provide either a valid Identity card or a valid passport. EXTRA UE citizens have to provide only valid passports ( any other document will NOT be accepted ) . Notes: Check-in: 2pm. Check-out: 10am. If you will be arriving before check-in or departing after check-out, youâre welcome to store your bags in our luggage storage room for free while you relax by the pool or explore the city. We have a 24hr cancellation policy. Late cancellations and no-shows shall be charged the equivalent of the first nightâs accommodation. Please note that as of 24/08/11 a new tourist tax has been introduced by the city and is not included in the room rates. Between February 1st and November 30th, an additional â¬0.21 per night is to be paid. For all other periods the tax will be â¬0.15 per night. Children under the age of 10 are excluded. Children aged between 10 and 16 will only have to pay 50% of the tax. This property may pre-authorise your card before arrival. Conditions: Due to Italian law we are unable to accept guests under 18 years old who are unaccompanied by an adult ( parent or legal guardian) , unless we have parental permission with a digital signature. Check-in: 2pm. Check-out: 10am. If you will be arriving before check-in or departing after check-out, you’re welcome to store your bags in our luggage storage room for free while you relax by the pool or explore the city. We have a 24hr cancellation policy. Late cancellations and no-shows shall be charged the equivalent of the first night’s accommodation. You can amend the reservations with no penalties up to 24hours prior arrival. Please note that as of 24/08/11 a new tourist tax has been introduced by the city and is not included in the room rates. € 0.20 per person per night from 01.01 to 31.12 Children under ten years old are free and children aged between 10 and 16 years are charged 50%of the amount of the tax. This property may pre-authorise your card before arrival. Arriving in Venice is like stepping into a surreal never-never land. Where most cities have car-choked roads and impenetrable one-way systems, Venice has gondolas, vaporetti sestieri (water buses) and a labyrinthine network of canals. With quaint little streets, narrow footbridges, colourful houses and grandiose buildings, you could spend days wandering around and still be captivated and enchanted at every turn! Piazza San Marco The main square in town, framed by the basilica, Doge’s palace, and of course, pigeons. Grand Canal The largest of all the waterways, and a major traffic corridor. Gondola ride Experience Venice by boat! Ponte dei Pugni/The Bridge of Fists The site of a giant annual medieval fist fight. Murano and Burano Picturesque islands make an easy day trip from Venice. Seafood is the order of the day for the lagoon dwelling Venetians, and there are a number of unusual crustaceans to be found here. Moleche are small green crabs eaten in the springtime after they shed their shells. If that’s a bit much, opt for the classic Risi e Bisi, or rice and peas, halfway between risotto and soup. Piles of books in bathtubs, waterproof bins, and even a gondola. Possibly the most beautiful bookstore in the world, Acqua Alta seems unphased by the ever present threat that water poses to the merchandise. Stray cats which have decided to call the store home complete the picture.